Summer rain. Arguably the best time to view a garden is after a summer rain. Tired plants spring back to life, colors are enhanced, and residual raindrops magnify minute parts of nature’s splendor. 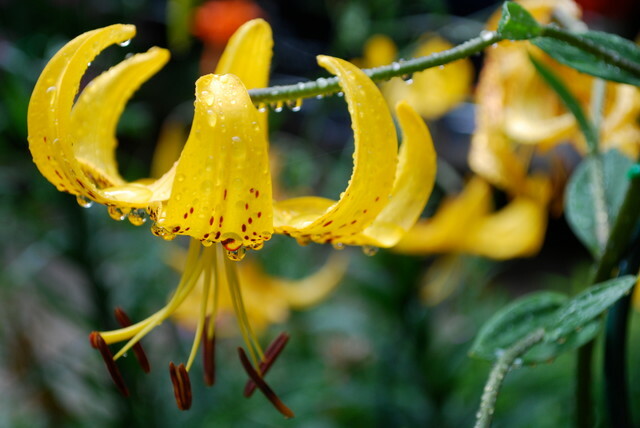 Notice how the raindrops are clinging rhythmically to this citronella lily (Lilium x ‘Citronella’, zones 4 to 8) after an evening thunderstorm.